Seattle Early Dance is dedicated to presenting high quality performances of dances from the European Courts between the sixteenth and eighteenth centuries. These dances are reconstructed using original manuals and treatises, and are performed in exquisite costumes based on historical designs. Essential to the performance experience is collaboration with musicians playing authentic period instruments. Seattle Early Dance has performed with some of the finest early music organizations in Seattle, including the Seattle Symphony, the Seattle Baroque Orchestra, Baroque Northwest, Pacific Music Works and the Seattle Academy of Opera. Seattle Early Dance aims to have a wide appeal, presenting dances in ways both entertaining and informative for modern audiences. Seattle Early Dance is also committed to educational activities, such as workshops and residences in schools and other community settings. 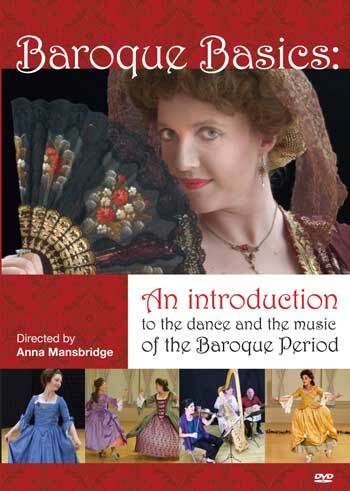 Baroque Basics: An introduction to the dance and the music of the Baroque Period - a DVD directed by Anna Mansbridge. For more information and to purchase, visit our DVD page. Seattle Early Dance is supported by the generous donations of individuals, and by the Microsoft Giving Campaign.